SEO is crucial for your business website. SEO is hard, SEO is time-consuming and sometimes SEO can be risky. Yes, some SEO risks are worth taking to grow fast while others are to be avoided. In this article, I am going to make you aware of some SEO risks you should avoid at all cost. These are some risks worth not taking as these can damage your rankings and will likely do your business more harm than good. And in the last, I will list two SEO risk worth taking for your business. Creating Doorway pages is a black hat SEO tactic that you should avoid because search engines are smarter in 2018. Yeah! this tactic used to work in past but at present, it is SEO risk worth not taking. If you will use Doorway pages on your site, you are in danger of getting penalised by Google. Google has officially stated that it does not like doorway pages and penalizes sites that use them. Don’t risk it. In case you are already getting a good amount of traffic, Doorway pages can ruin your traffic in minutes if you got caught by Google. Using your focus keyword in your anchor text for a text link to your website was considered good for your SEO. Like other SEO practices that work in real, this also got abused. Black Hat SEOers used this tactic so much by using an excessive amount of exact match keyword anchor texts to link to their websites but the problem was these backlinks were of low quality. Many Black Hat SEOers tried to game the algorithm with this tactic. Finally, Google cracked down on this practice and now Google started punishing websites that overuse this practice. So now this is a risk worth not taking to improve your rankings. This may not improve your keyword ranking but can possibly get you punished by Google. Neutral backlinks are backlinks that do not come from high authority sites but are not spammy. Deleting them would not do any good or bad to your rankings so let them be there. If you try to manipulate your backlinks too much, you can be in danger. You may have some page on your website for services and products you have discontinued. Deleting those page is not always a good idea. When you delete a page, everything associated with it is gone be it your keyword rankings for that page or URL. If you delete these pages, you may lose your traffic you get from that page and in case, it was a high ranking page, you may lose significant traffic. To prevent this drop, don’t delete the page and just add a redirect notice to the page to take visitors to another page. Making even small changes to your site too often can get your red flagged by Google. Many newbie SEO and webmasters make this mistake. They keep on making small changes on their site frequently. And this put them in danger of getting punished by Google. They need to understand that making changes to your site frequently is not healthy for SEO. For Google, this is a sign of something suspicious. So don’t risk it. These were 5 common SEO risks you should avoid in 2019. 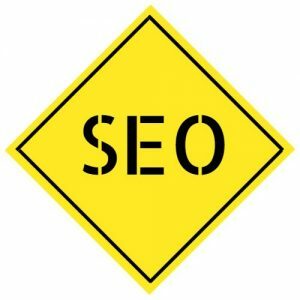 Do not miss our previous article about SEO Mistakes and how to fix them. Some risk is always associated with any business decision. If you want to grow faster you need to take risks. Same is the case with SEO. There are some risks in SEO that does not necessarily always safe but if they work, they can do good to your rankings. I am gonna list 3 of them down. Many people are scared of getting penalised for backlink building. But they need to understand that building backlinks is not bad at all instead, this is crucial for SEO. You need to focus on building high-quality backlinks, don’t leave link building on God. There will be times, you may get confused that you backlink building strategy can get you penalised. Don’t give up and take the risk. We often talk about getting penalised by Google but Getting manually penalised by Google is very rare and there are only a handful of cases witnessing it. Experiment with your link building. This is a risk worth taking for sure. And this risk will definitely give you solid results most times. You are ranking for a top-level keyword on the first page but at the last position. You know whatever be the search volume of the keyword you are ranking for unless you rank one you are not going to see much results. Your Meta information is important for Google thus you should make sure you provide Google with the best meta information. You might think that changing meta information like meta title and description may ruin your ranking, but believe me, this is not always the case and most times if your change is optimized for search than its gonna have a positive effect on your rankings. Many SEO believe CTR to be important so changing meta information for the best is a risk worth taking to climb up on the SERP ladder. Google likes short URL with a focus keyword. But many e-commerce SEO spaces, retailers use old e-commerce platforms with poor site structure navigation that leads to Unhealthy URL structure for your website. You may not think of experimenting with your URL’s in fear of losing rankings but this is a risk worth taking. Optimizing your URL and making them short and sweet with a keyword can have a great impact on your rankings sometimes. Yeah, you would need to deal with redirects when you change your URL structure but this will benefit you a lot. I will always advise you to have a safe SEO journey without any risks but taking a risk sometimes is worth it. Thanks for reading and let me know your thoughts in the comments.